This is a poster printed by Mourlot, and was designed by chromist, Henri Deschamp in 1973 for an exhibition of the renowned French painter Pablo Picasso at Palais de Papes, Avignon which immediately followed his death. The central image reproduces a late painting by the master — a view of Mougins, France, a small town in the south of France where many famous French artists of the 20th century lived and worked. Picasso painted the original piece during March of 1972. The image bears all of the markings of late period Picasso: the jumbled scrawling that combined everything from Primitive art to cubism, an aesthetic that almost encapsulated every stage of career with a rigorous but daring formalism. While one can only discern particles of detail – palm trees there, a roof here – the piece creates an overwhelming sense of vibrancy and exuberance, tinged with the slightly morbid edge that marked much of Picasso’s later work. 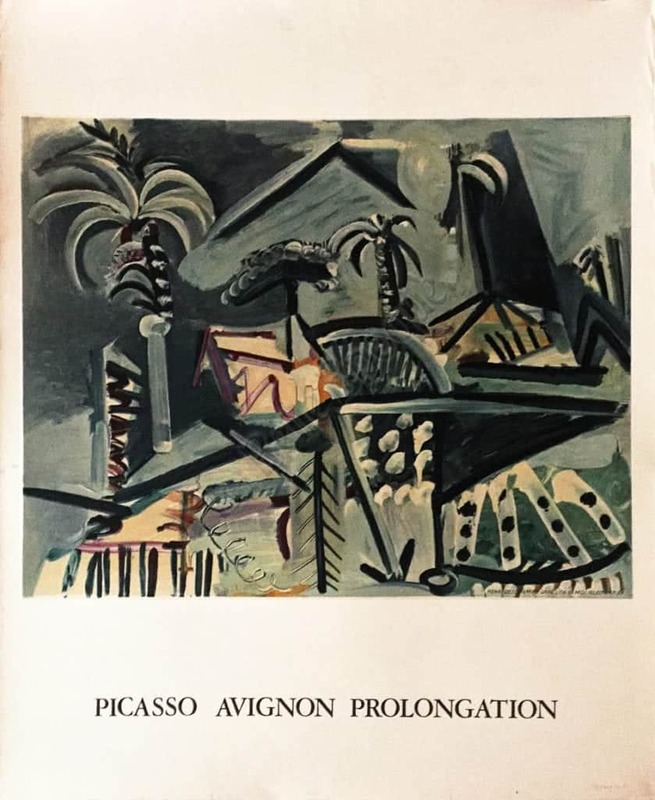 Below, text reads “Picasso Avignon Prolongation”, in a frankly Minimalist design that only serves to reinforce the image above.